We can also offer you printing possibility which will help you to differ from your competitors and gives your product value add. Minimum quantities required depending on product. 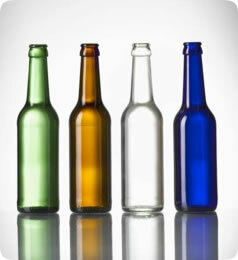 Our co-operation partners can also sleeve your glass and plastic bottles. Sleeving is an alternative for printing and the final result looks good. Minimum quantities required dependent on product. Bringing out to market your own special design you can be sure that your product will confirm your unique brand and will eliminate the counterfeiting. We offer you a great oppurtunity to develop the product of your own. Our support and our co-operation partners experience will make it even easy ! With assistance of our co-operation partners we can support you in design and all possible technical questions and solutions. Embossing is also possible. Minimum quantities required depending on product. If you are considering to get a own bottling line or labelling machine please contact us. With our assistance our Italian co-operation partner can quote you assembled bottling line for beverages and labelling machines for your needs.